Hello and welcome to KeepsUsStargazing! Personal essays, travel stories, thoughts in 100 words- this is where I throw all the word jumble that rattles around my head on a daily basis. If you want to read stories from where I've been and find out about where I want to be, this is where to go! New pieces posted every Tuesday and Saturday (except second of the month). Argueably the portion of this blog that I'm most passionate about, this is where you'll find monthly poems, some written "spoken" word pieces, and poetic lines that I throw together. New poems posted on the second Saturday of the month. 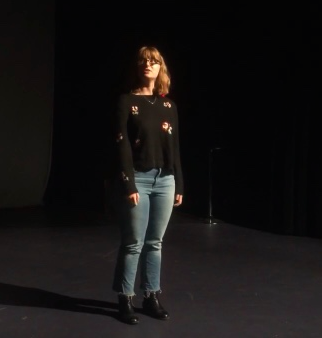 As I continue my journey towards the world of Theatre, I post stories about what I've learned from being in a show, stories about my experiences, and sometimes the minimal advice that I can offer. New pieces are usually posted after a show has ended and I've had the chance to write about it.